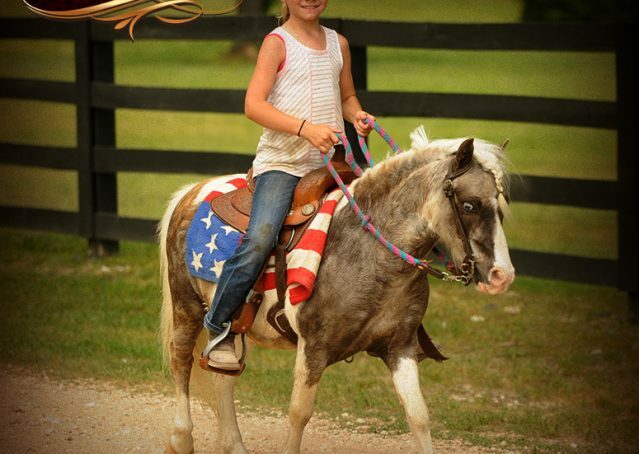 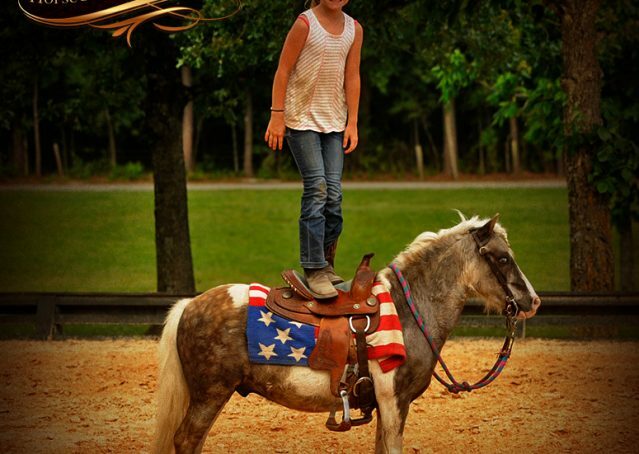 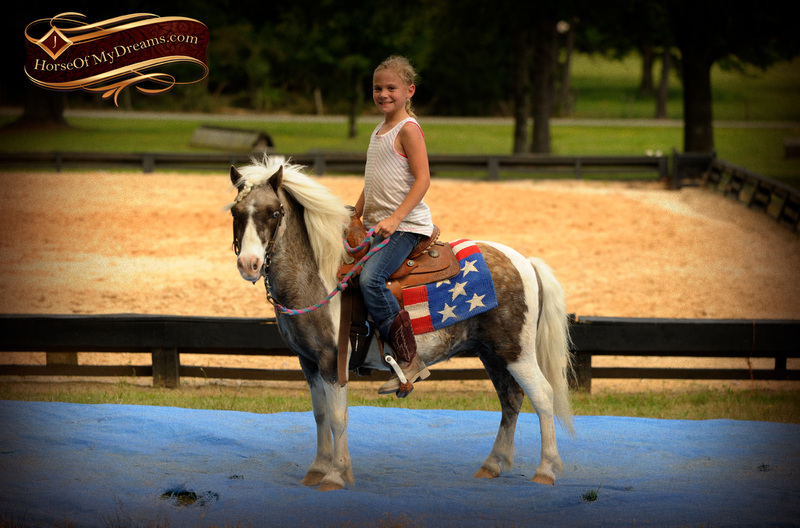 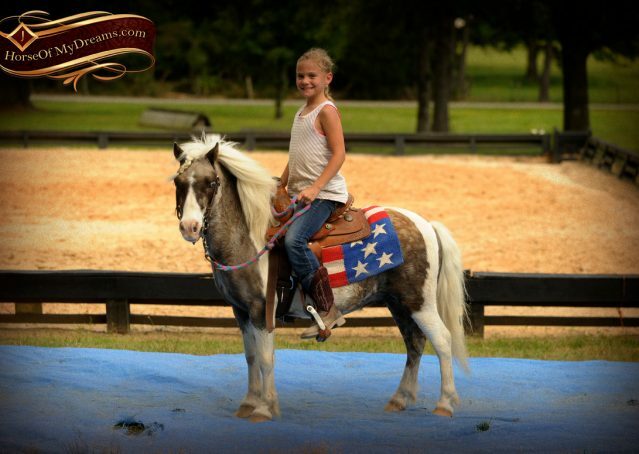 Smokey is a super cute, Amish trained pony, with a unique dappled brown and white color. 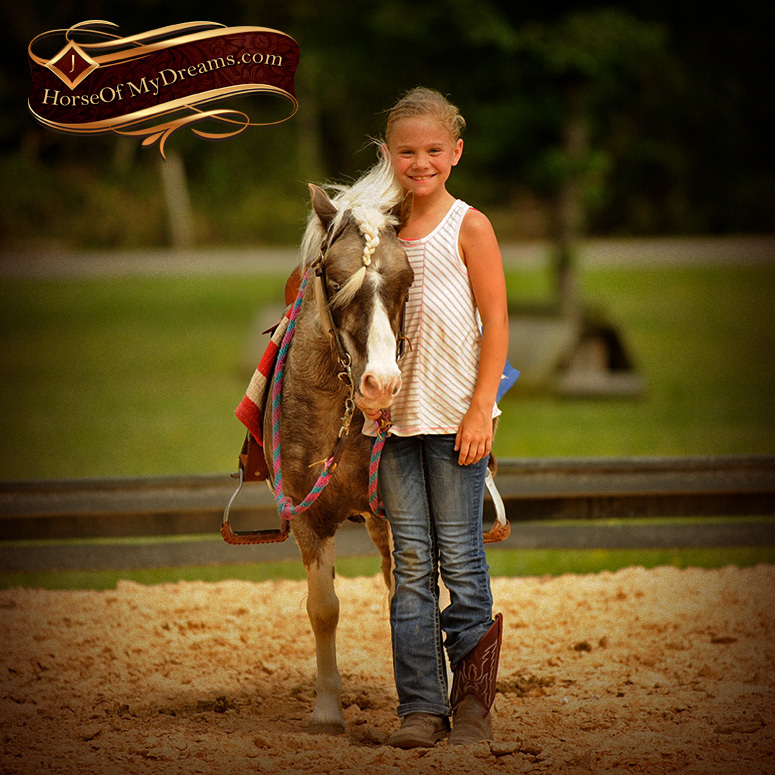 He’s extremely friendly and gentle and loves attention. 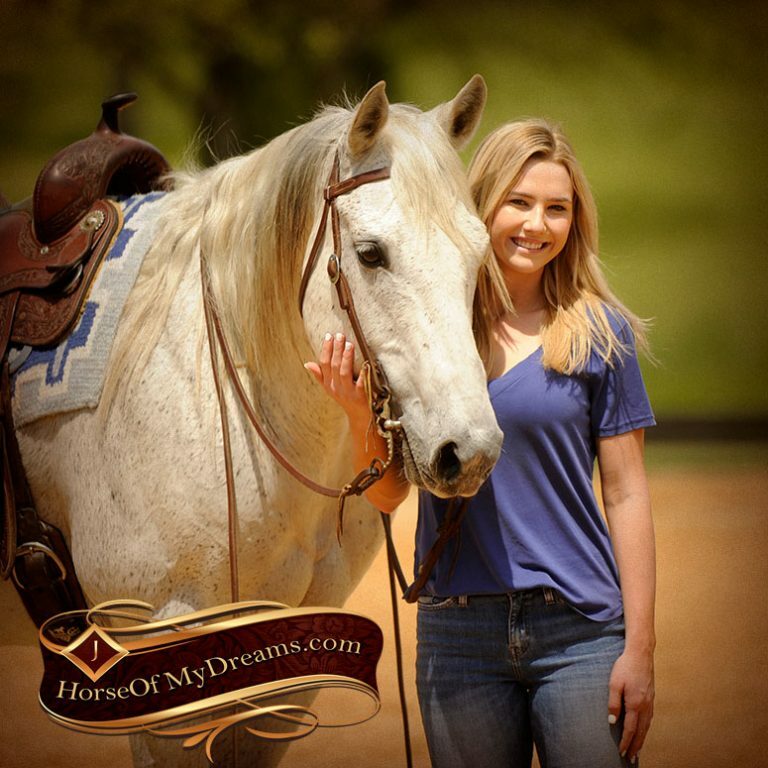 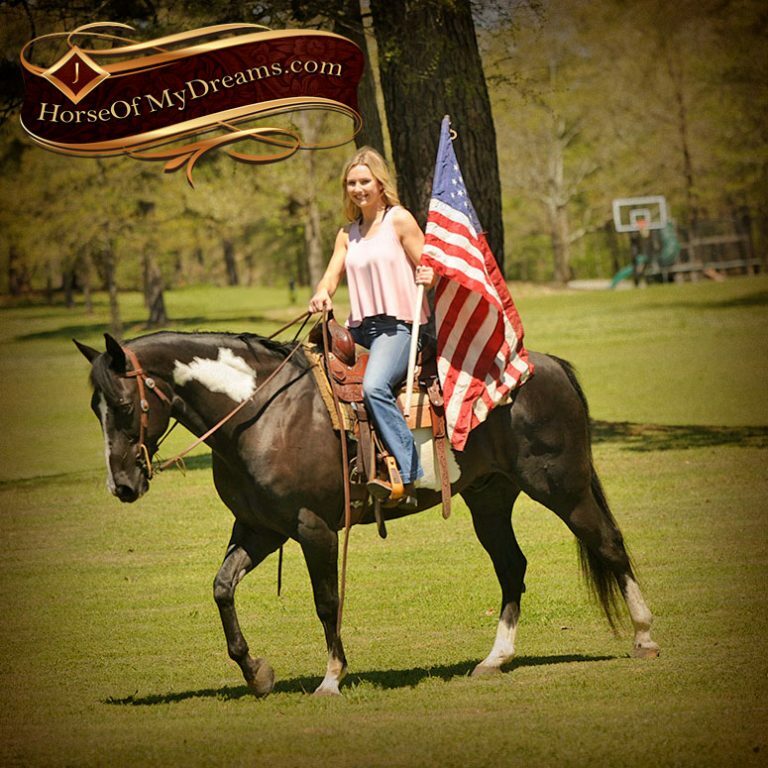 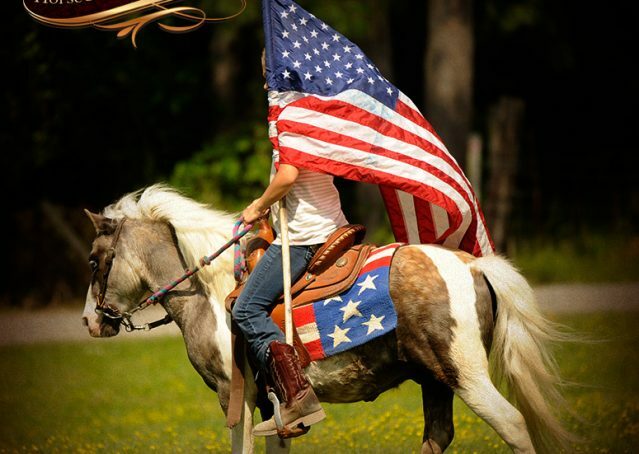 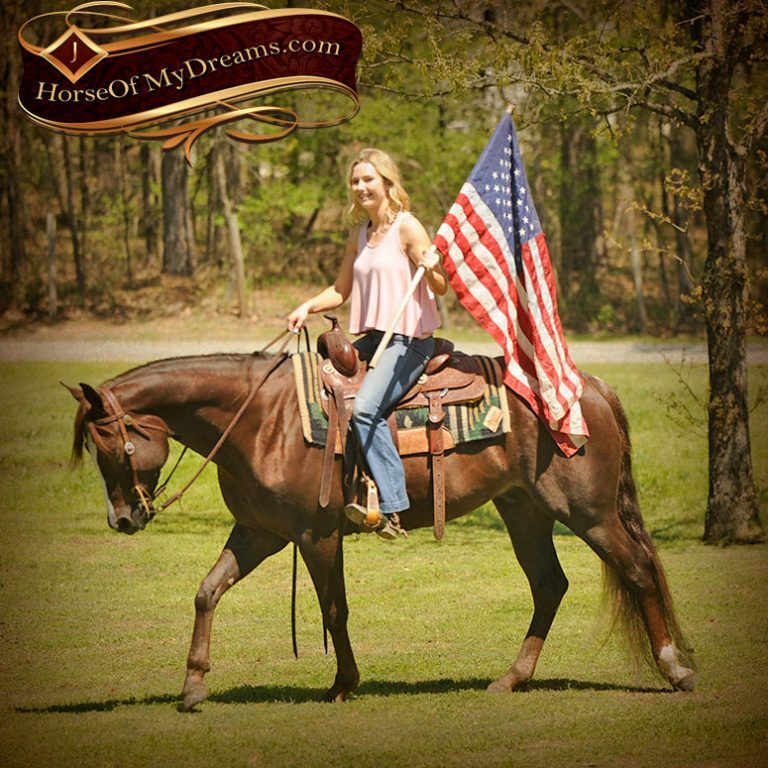 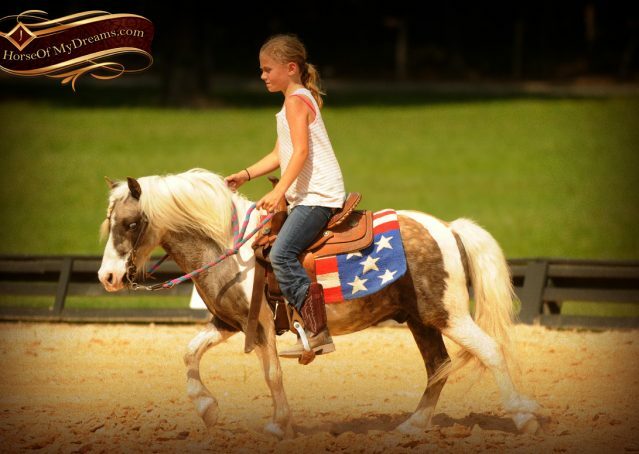 He’s a great lead line pony that rides really amazing. 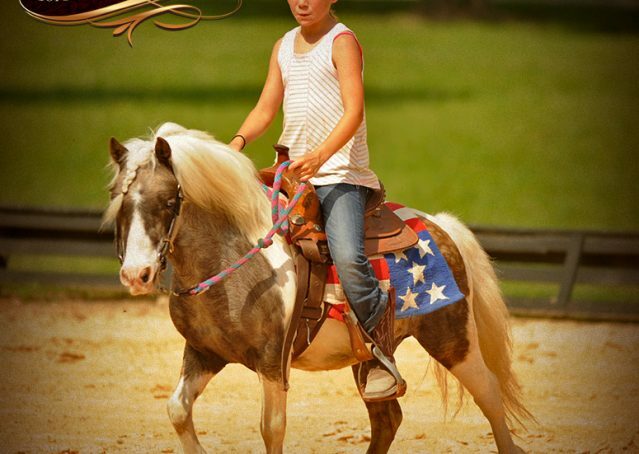 The kids had been riding him to school this past year so he’s traffic safe too. 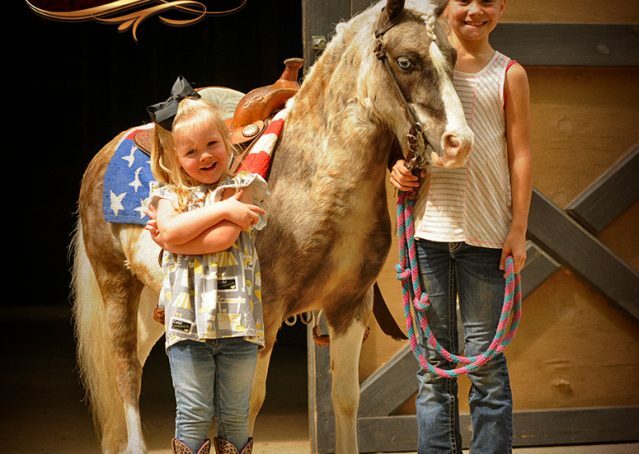 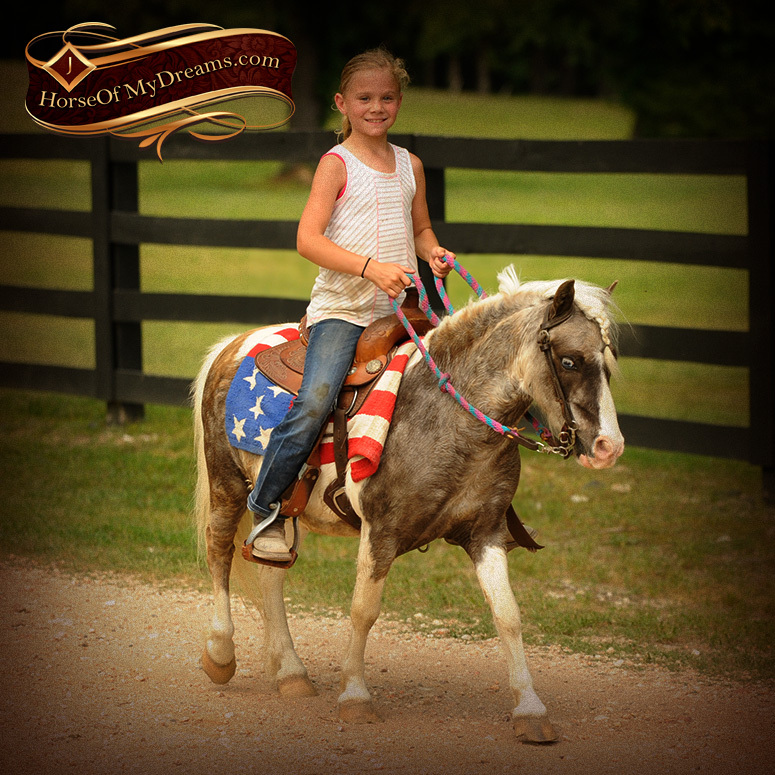 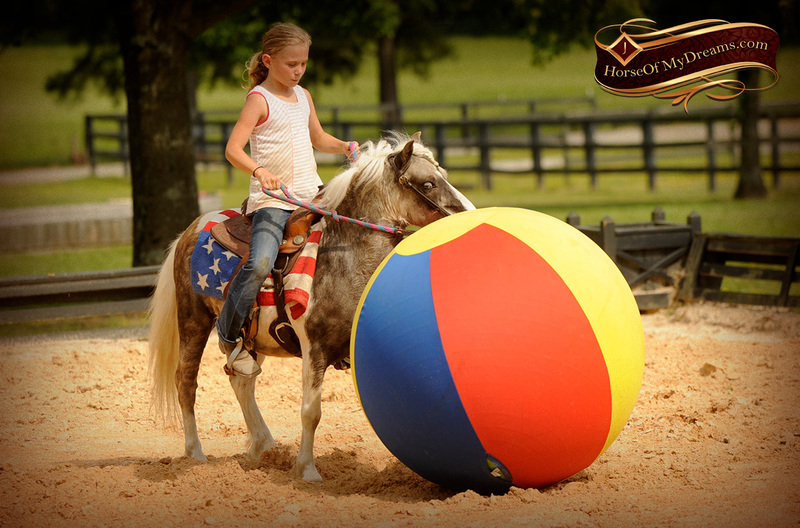 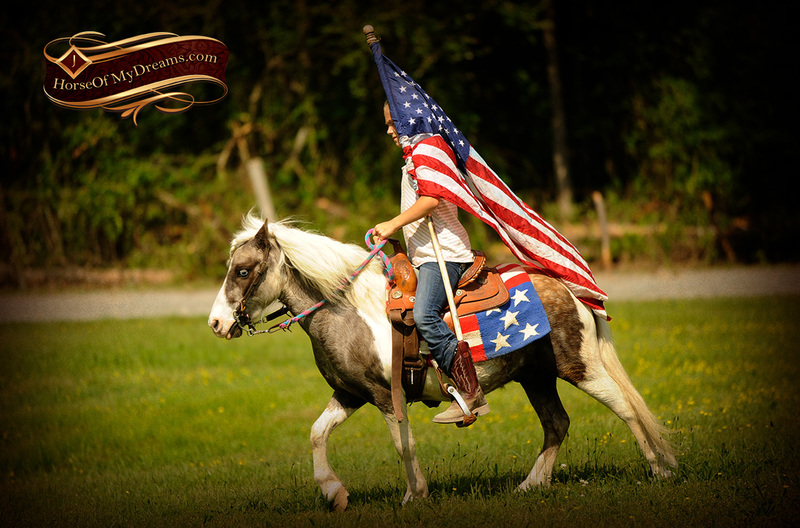 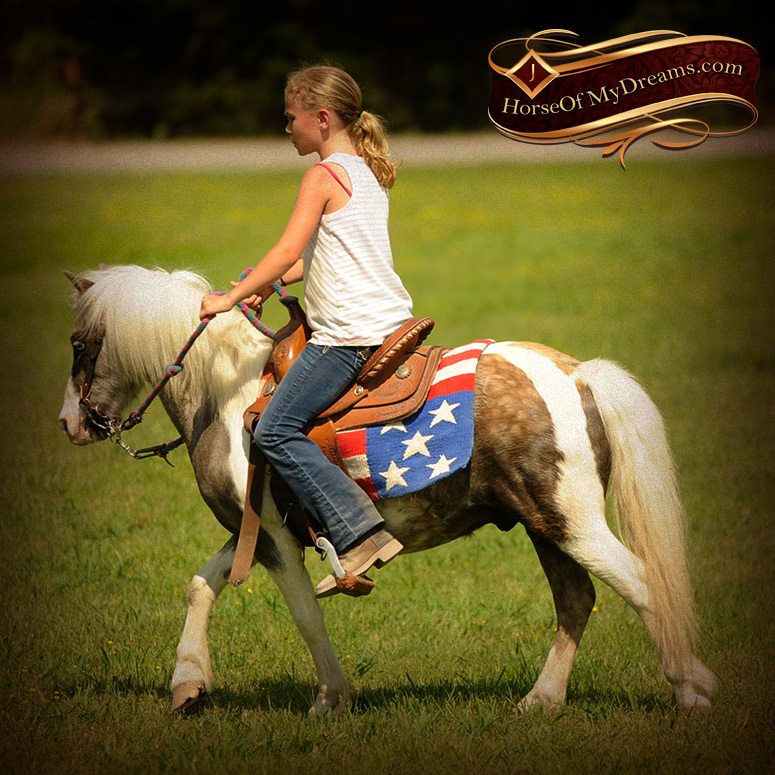 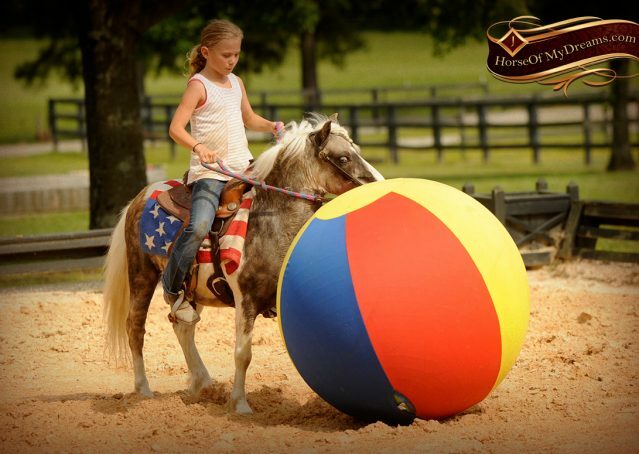 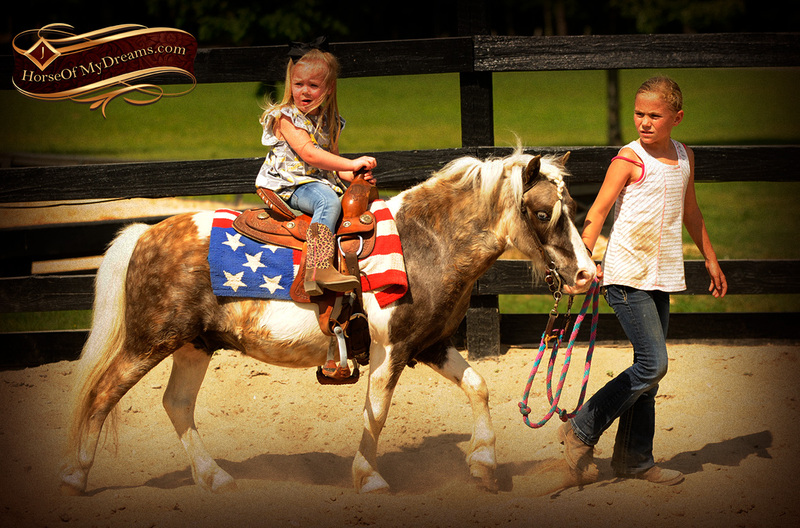 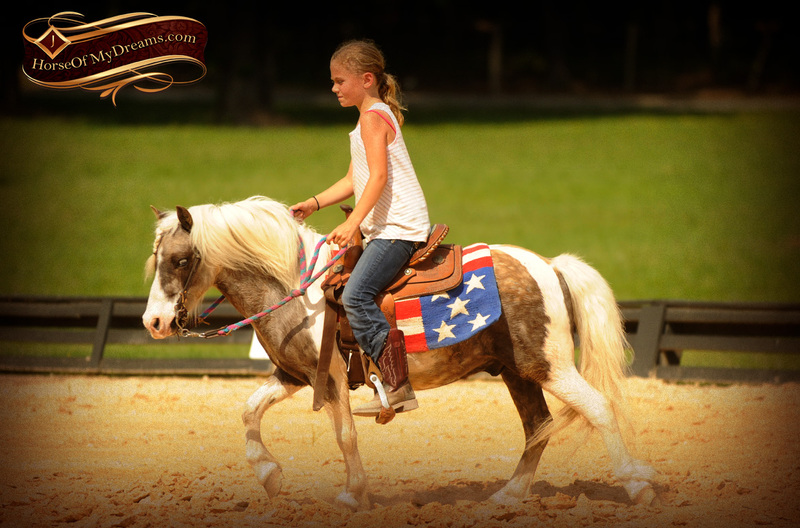 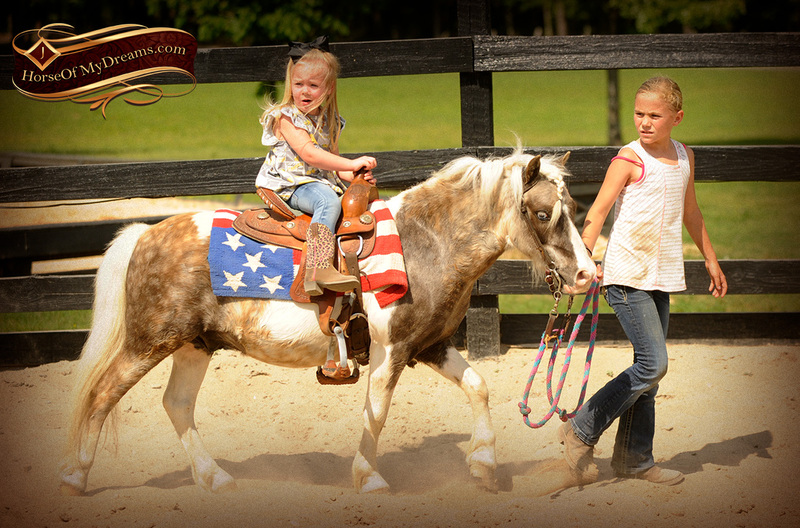 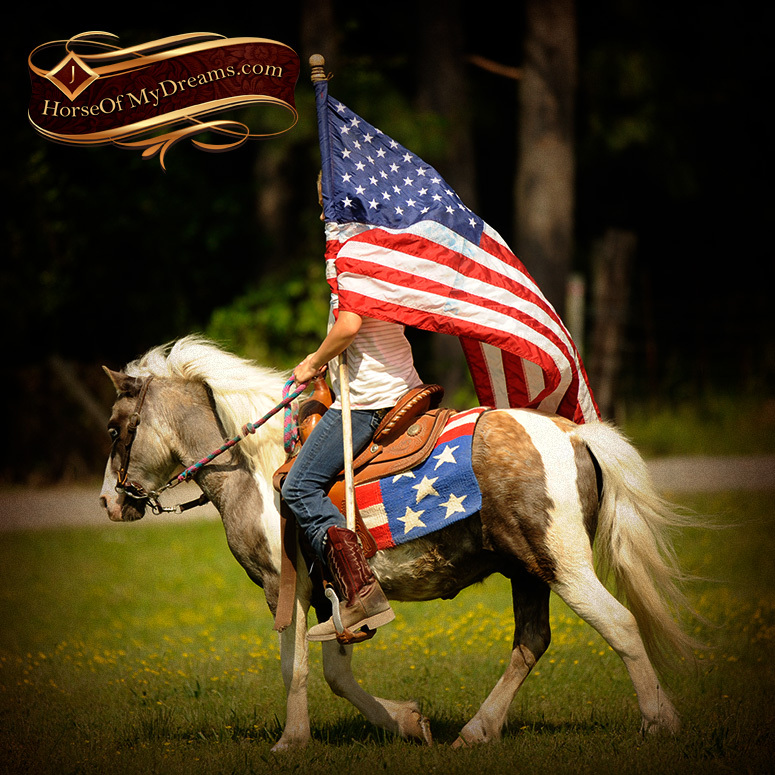 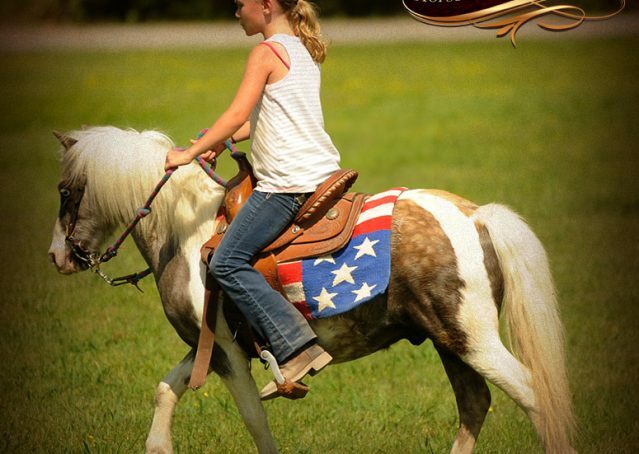 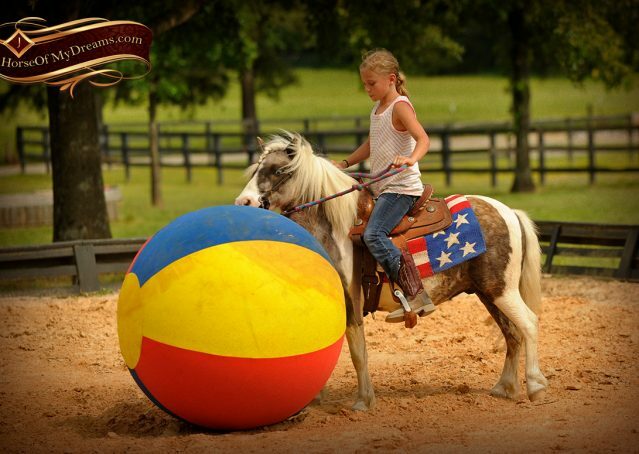 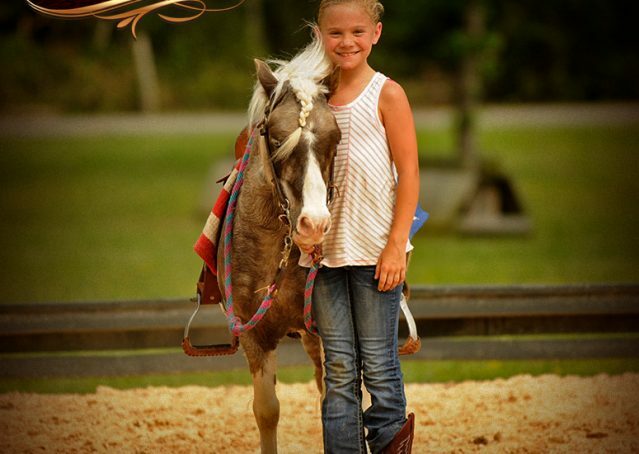 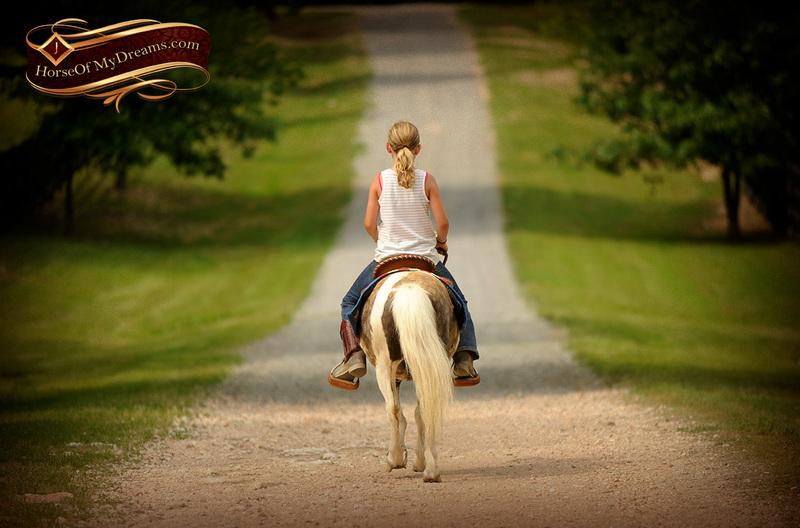 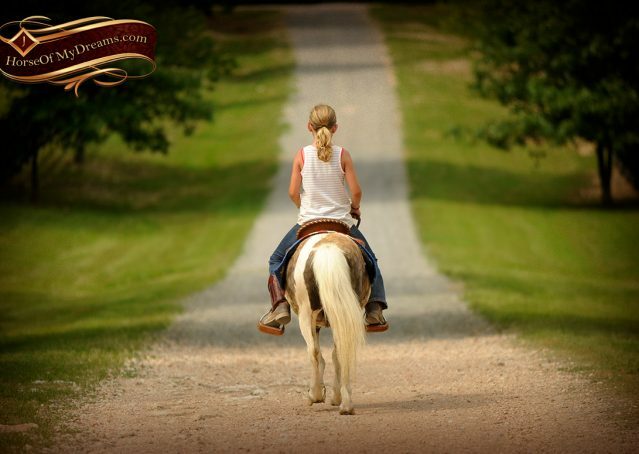 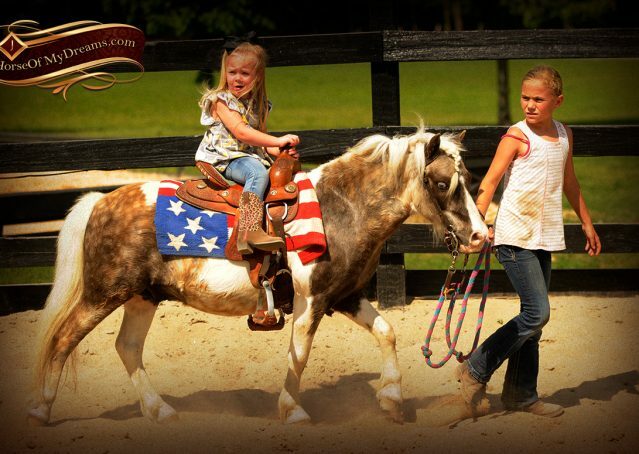 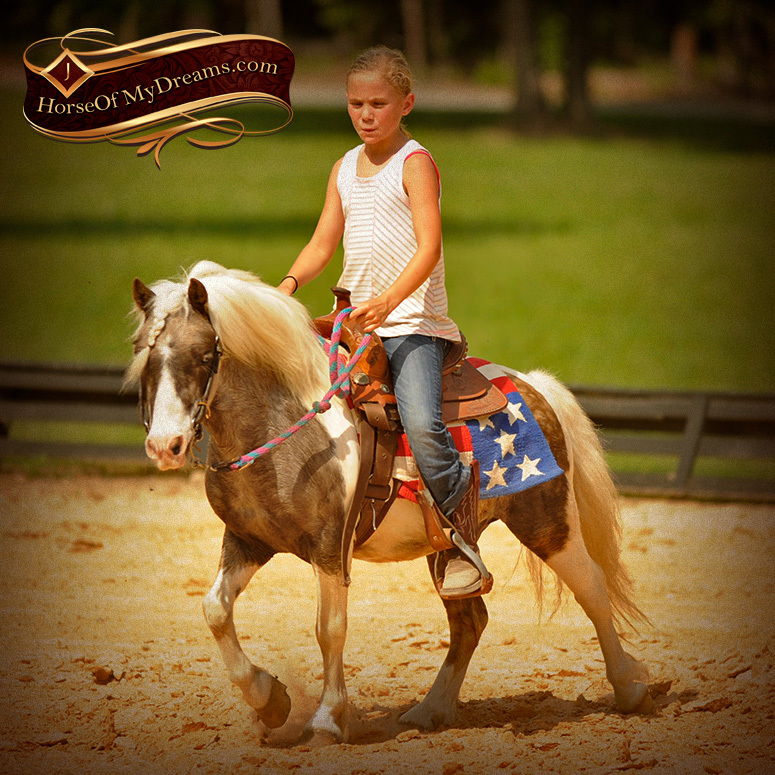 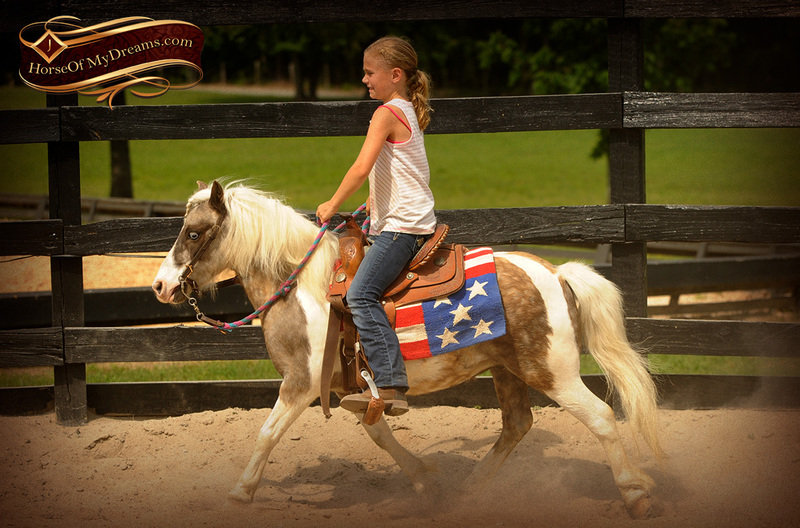 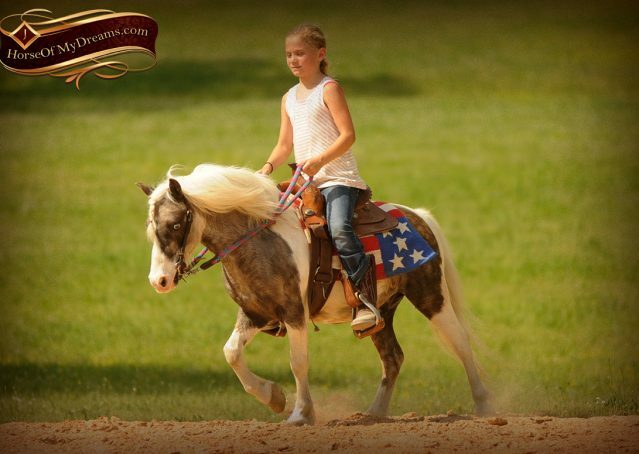 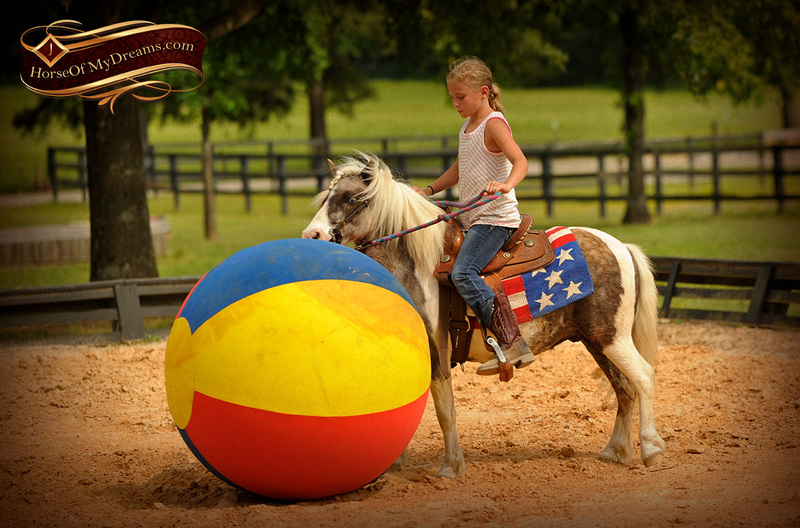 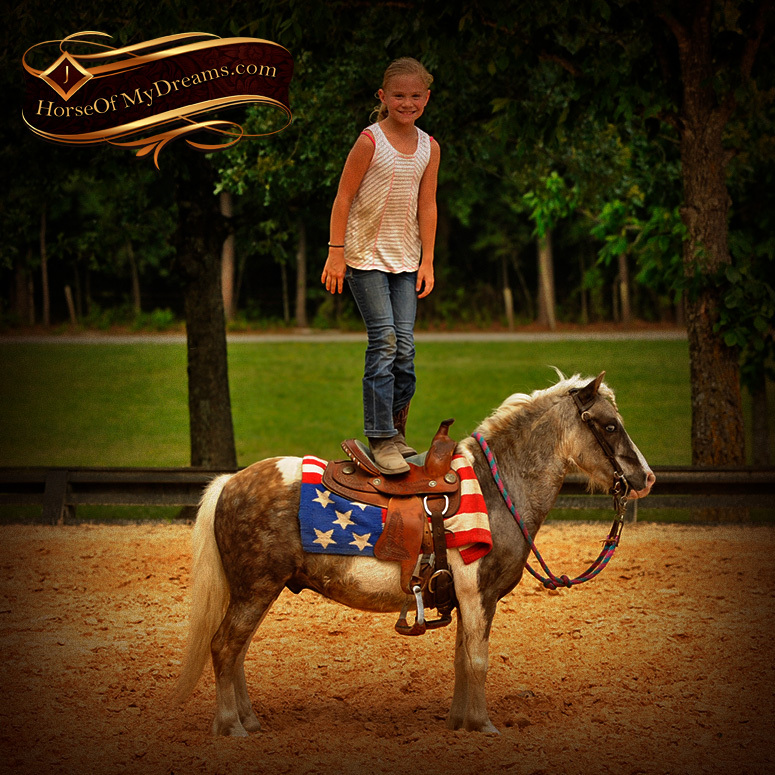 He’s the perfect size for smaller kids to learn all about the responsibilities that go along with horse ownership. 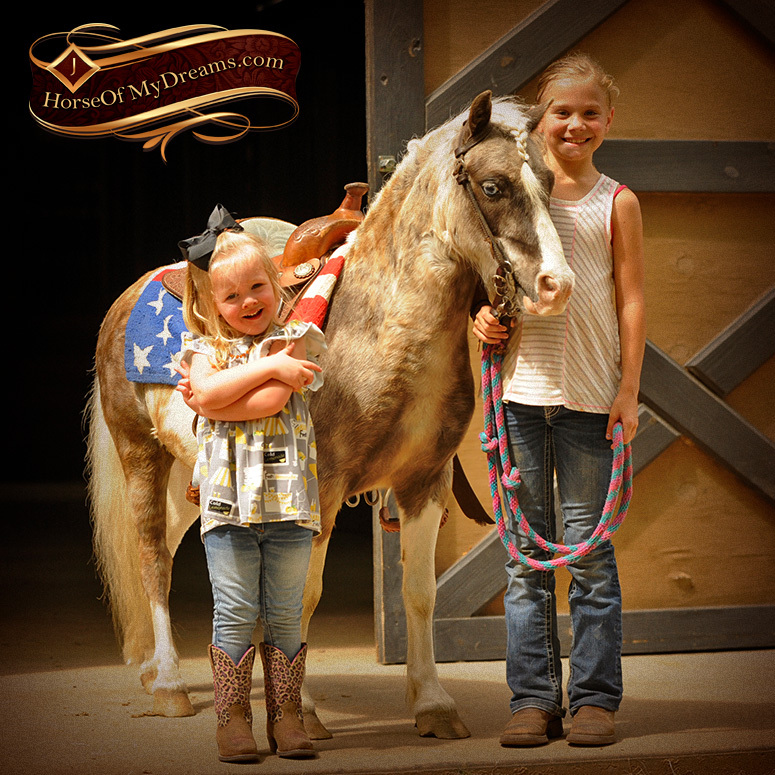 They can groom on him, pick out his feet, braid his mane and tail, and most importantly love all over him! He isn’t scared of tarps, flags, atv’s, dogs, etc. 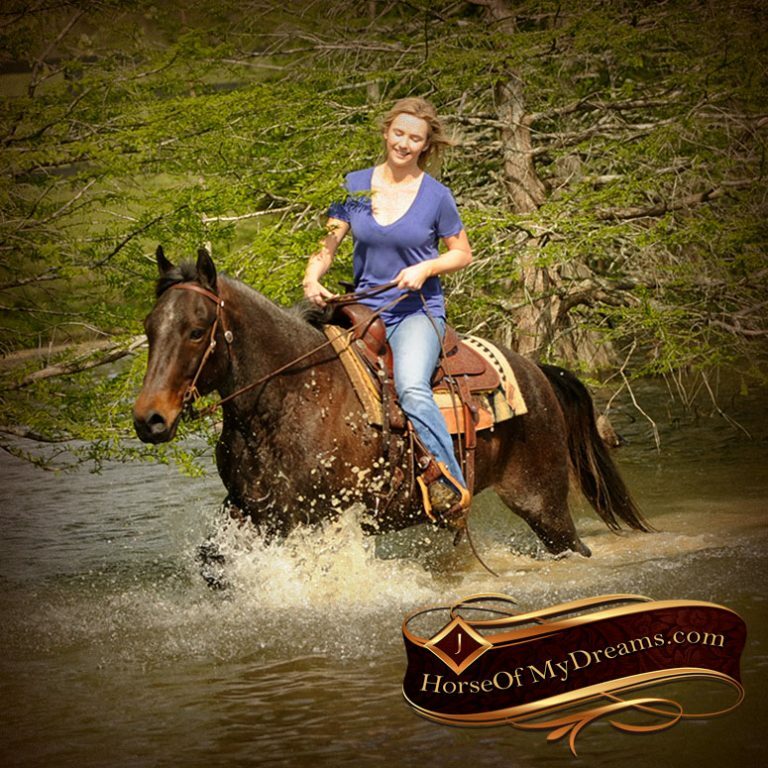 He’s great on the trails too.